As I say hello to October, I say bye to September and all the tasty meals of the month. Seven restaurants only account for about 1/4 of what I visited, so why seven? Because it’s a nice number. I have no other logic behind that. For those of you who don’t already know this, I eat at a new restaurant probably every day. Sometimes twice a day. Poor me, I know. I’m not complaining. That said, sometimes I lose track of all the delicious things I eat, so I felt this was a good way to keep a log. It is a blog after all. BLOG LOG IF YOU WILL. Read below for some of the things I ate recently and let me know if you’ve tried it. I love the feedback. Makes me feel useful in a world where I often feel completely useless (unless I’m grocery shopping). e’s Bar – right next to the bustling brunch crowd at Jacobs Pickles sits e’s Bar. 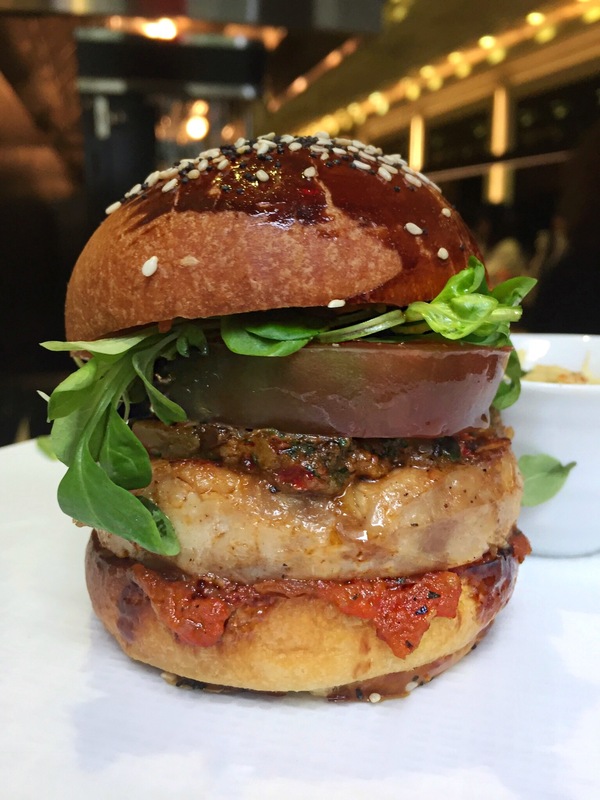 Unassuming and unpretentious, and a great option for a bite and a cocktail. The food is better than you’d expect. Try the chicken tenders, the burger, the string beans (if you like garlic), and the cheese balls. And for the love of God be careful with those. 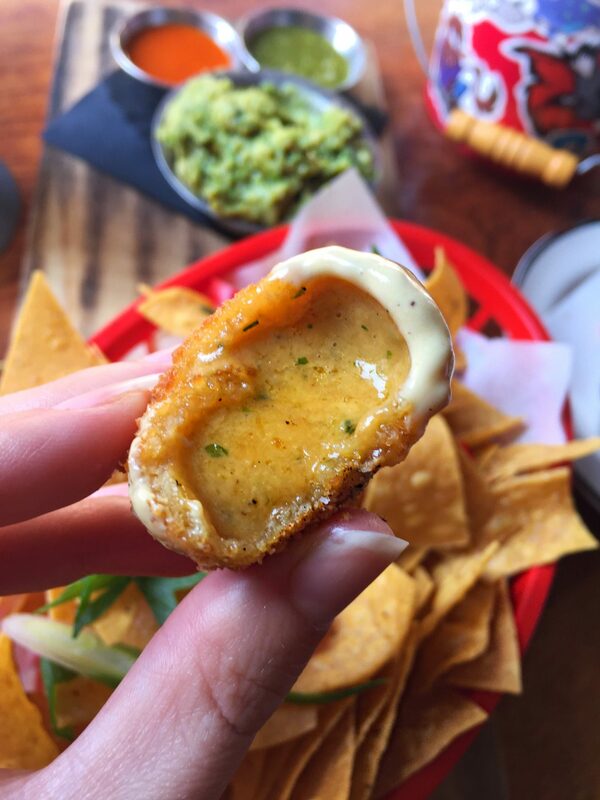 That cheese oozes out like hot lava. 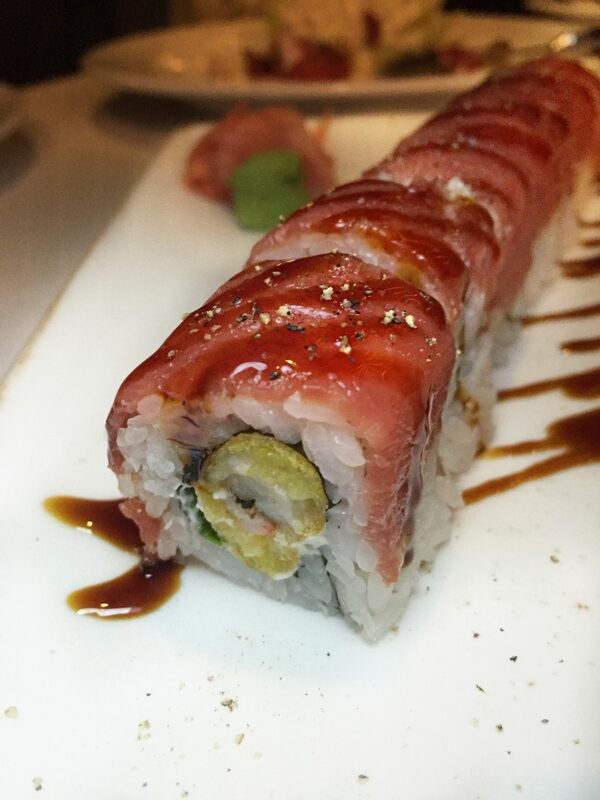 Ocean Prime – if you find yourself in Midtown and can’t decide between sushi or steak (or maybe lobster mac and cheese), look no further. The space is ideal for after work drinks with colleagues and clients too, and you can’t beat that sushi topped with wagyu. Walters Hot Dogs – PSA: this is not in Manhattan or even Brooklyn, it’s in Westchester. If you live there, chances are you already know about it. If you don’t, you should make a trip. It’s actually a National Landmark! Westchester is a cute town with a lot of great food, and you need to try these dogs. It’s all about the mustard, in my opinion. 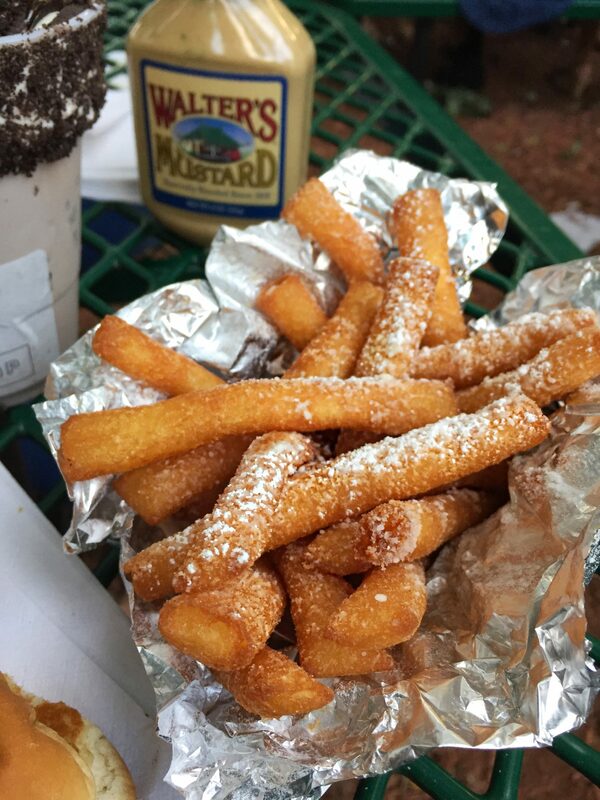 But the funnel cake fries are a close second. 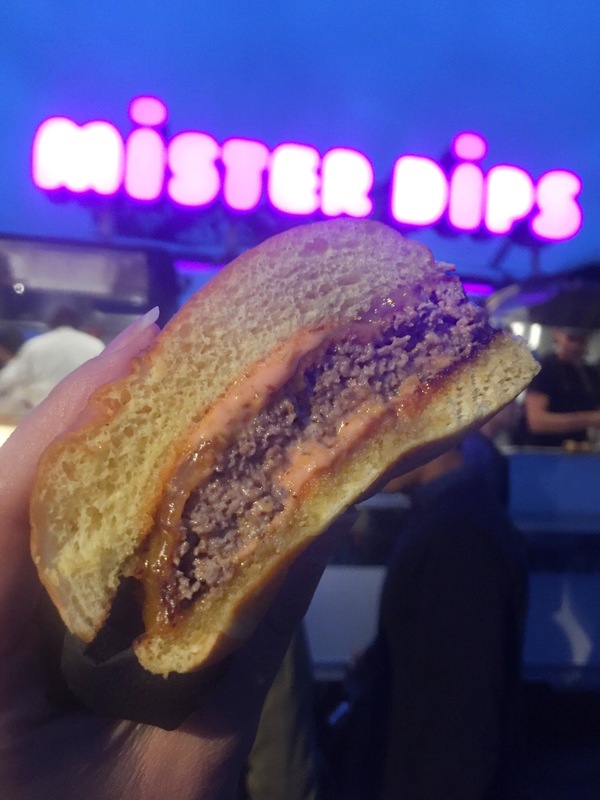 Mister Dips – In it’s simplest description, Mister Dips is burgers, fries, and ice cream. Andrew Carmellini’s new spot sits in a retro-style airstream RV at the William Vale Hotel in Williamsburg. The veggie burger was seriously delicious (trust me), and the Jacker Crax was an outrageous home run – buttered caramel popcorn soft serve?! IS THIS REAL LIFE?! Velvety, salty-sweet perfection. Open til 10 pm. Market Ipanema – Rarely am I impressed by a “healthy” establishment; to me, it’s all usually the same garden variety (no pun intended) stuff. Not the case here. 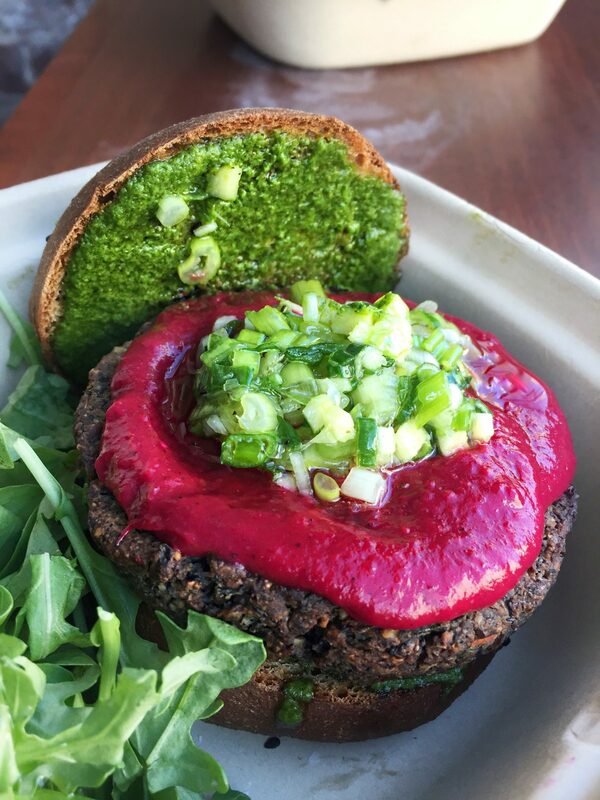 Another incredible veggie burger lives here with scallion relish and beet ketchup created by owner Beatriz Lobato Grabowsky, and they have these trendy tapioca crepes too. Have you tried yet?? Made with tapioca flour, they’re gluten free and have a really unique texture (which is hard to describe in writing). I kind of loved them. The mushroom and cheese were probably my favorite, but the pink ones (color comes from beet juice) with bananas and coconut were a delightfully sweet surprise (and SO pretty). PokeSpot – I love poke. It’s pronounced “poh-kay” by the way. #rhymes. This place has a line out the door almost every weekday during lunch, and with good reason. 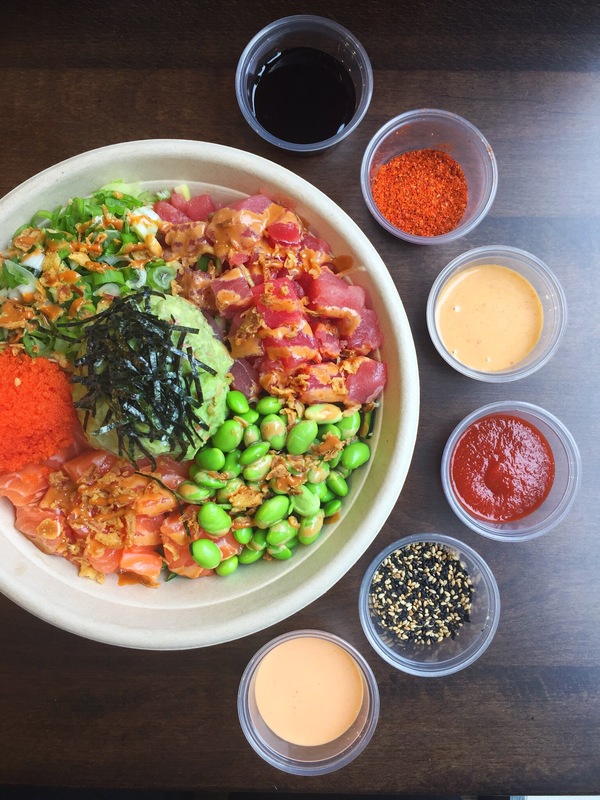 The tuna and spicy salmon was amazing, and you can create your own bowl as well. Don’t forget the sauces too. And if you’re anything like me, you’ll just get ALL the sauces.